About Us - AlReef Sugar Refinery Co.
Al Reef Sugar Refinery Co. (JSC) RESRECO, the largest sugar refinery in the Kingdom of Saudi Arabia that will be set up in the port of Jizan. 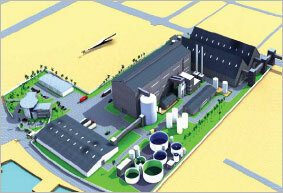 RESRECO will have the capacity to produce 1,000,000 tons per annum. Establish and Manage a World Class Sugar Refinery Business that Outperforms its competitors and Provides the Consumer with Choice, Superior Quality Products and Brands. Set up and operate within world class standards. Produce competitive superior quality refined sugar for Saudi Arabia and the MENA region. Provide attractive returns to investors and increase shareholder value. Maintain and exceed expectations of environmental, health and safety standards.